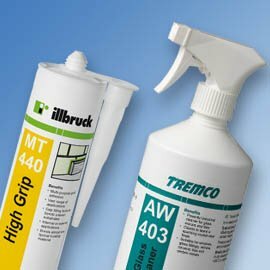 We now supply high quality Glass Sealants, Glues, Cleaners & Adhesives Tapes manufactured by Tremco. These products combine perfectly with our range of glass hardware and shower enclosure systems. Full Technical details are shown for each product in the Downloads Tab on the product page.